Dayton Superior is all about performance. As the leading single-source provider of concrete accessories, chemicals, forming and paving products for the non-residential construction industry, we deliver proven products…integrity and responsiveness…and unwavering support. Dayton Superior offers one of the most comprehensive lines of concrete chemical product solutions in the concrete industry. 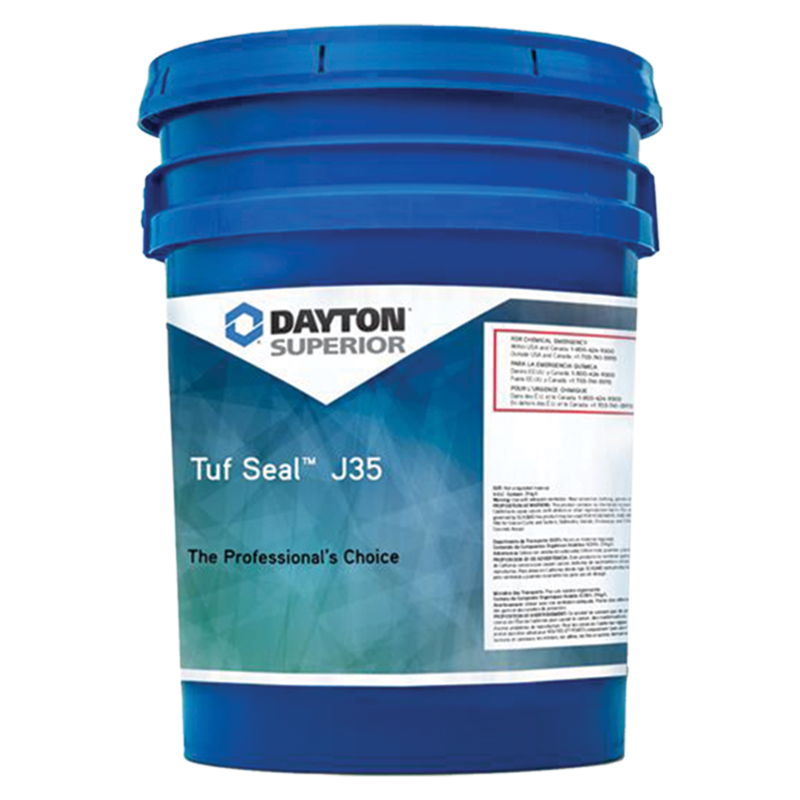 Tuf Seal J35 is a scientifically formulated clear, non-yellowing sealer comprised of methyl methacrylate polymers. It dries to a durable, high gloss finish that not only protects, but also beautifies floors. Tuf Seal J35 is designed to provide protection from oil and gasoline and excellent resistance to oils, greases and weathering. Tuf Seal J35 will not only provide improved gasoline/oil resistance, but it will also help to prevent dusting, spalling and inhibit efflorescence. Clean-up time is reduced and simplified since dirt, grease, oil that normally soak into the concrete are easily removed from the coating. Tuf Seal J35 not only offers protection for concrete surfaces, but it can also protect and beautify exposed aggregate and stamped concrete. Sure Patch is a 100% solids, low modulus epoxy resin system containing specially selected aggregates. A unit consists of three parts: component “A” epoxy resin, component “B” modified amine curing agent and component “C” specially graded aggregate. 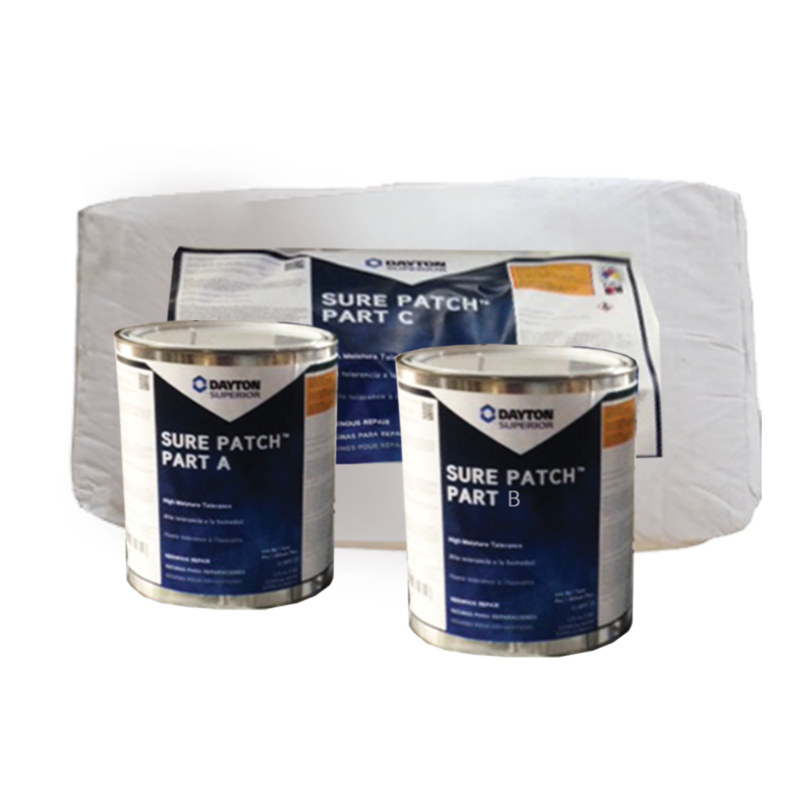 Use Sure Patch for epoxy interior or exterior concrete repair and overlays on interior horizontal surfaces. For interior industrial / commercial applications subjected to abrasion and or chemical spills. Let us guide you in product selection.